Recently we have published our price comparison analysis regarding the upcoming inventory for the region of Asia. It showed that we were able to improve average savings from roughly 4% to above 20% compared to booking.com. We have since completed our analysis on the regions of Europe and the USA and we want to share the results with you. 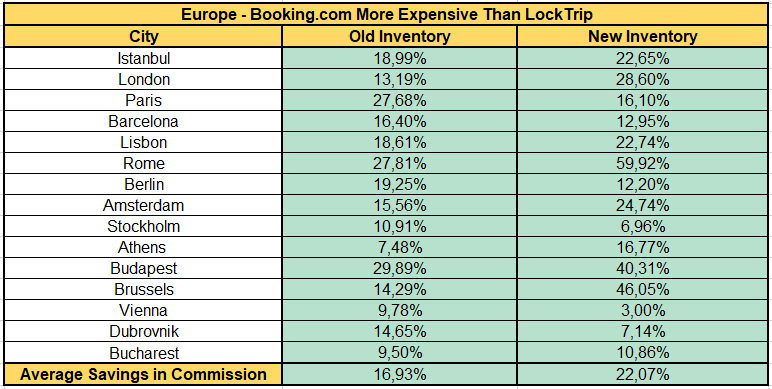 In the table below, you can see the price comparison between Booking.com and LockTrip. “Old Inventory” refers to the 100,000 hotels we integrated in 2018. “New Inventory” refers to the one announced in late 2018. As you can see, our new inventory in Europe is significantly stronger compared to the old inventory. We managed to improve our competitiveness by more than 5 percent — from 17% to 22%. In the USA however, our old inventory beats the new one by a considerable margin. Nevertheless, we can still observe important complementary effects. 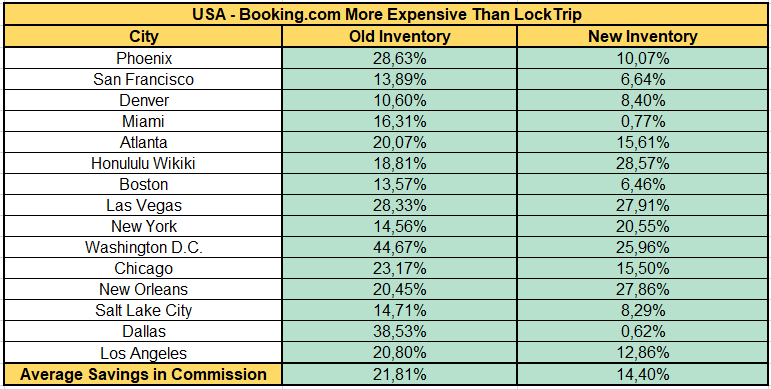 In Phoenix, we will be able to display our customers savings of above 28% compared to booking.com, thanks to our old inventory. In New Orleans on the other hand, we will be able to offer more than 27%, thanks to our new inventory. 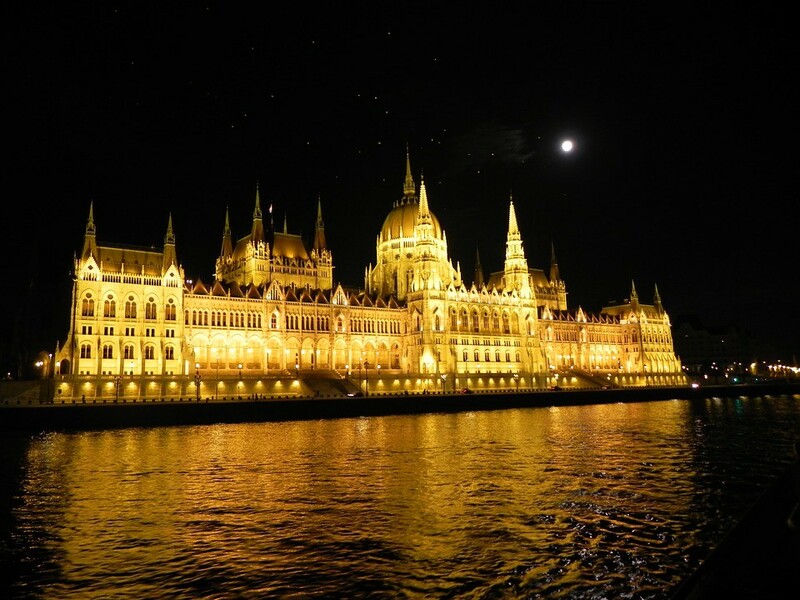 This logic can be applied also on the city, hotel and room level, which means that the showcased savings should be viewed as slightly conservative due to the synergies between the two inventories. The results show that the combination of the two inventories allows us to even surpass our initial promise of 20%. While the old inventory is particularly strong in the USA and weak in Asia, the new inventory demonstrates exactly the opposite — very competitive prices in Asia and less competitive ones in the USA. They are perfectly complementing each other. An important take-away is that the more inventory we integrate from different sources, the better the result gets for our users. This is a strong indicator for the things to come once we start building our distributed database. We wish you great savings and a great time on your Lock-trips!